Woodward Veterinary Home Care PC has both day and evening appointments. Call or select the link below! The goal of Woodward Veterinary Home Care PC is to provide complete care for our patients. Learn more about all the services we provide. Woodward Veterinary Home Care PC offers our patient form(s) online so they can be completed it in the convenience of your own home or office. We are committed to providing the best possible care and service, and our web site is now available for you 24 hours a day and 7 days a week. We hope to make this web page an integral part of the quality medical care we are able to offer to your pet. We invite you to browse through our website to learn more about our unique practice. Take advantage of our Online store where you can shop for all your pet care supply needs and have them delivered right to your doorstep. Need medication or a prescription? You can order those online too! Click on the Vets First Choice button below. 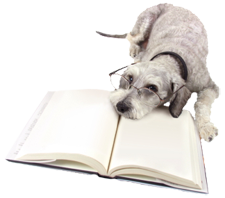 We also encourage you to browse through the reference encyclopedia of animal healthcare topics, ranging from behavior and preventive care to common and not-so-common diseases. We welcome your comments and suggestions, so let us know what you think of our web site during your next Home Care appointment! At Woodward Veterinary Home Care PC, we treat your pets like the valued family members they are. Referrals appreciated and rewarded with a $5 gift card for Panera. Sign-up using the form or call us at 248-288-1554 to take advantage of this exclusive offer.